There is something universally pleasing about a cube. The symmetry is easier to grasp and to describe than a sphere’s. Cubic forms are primary building blocks both in physical construction and in the realm of thought. The cube can be an elucidatory shape, such as in The Emperor’s New Mind, where physicist Roger Penrose falls back on the familiar cube to explain higher dimensions, as does Carl Sagan in Cosmos. The cube can also be a form that connotes mystery and intrigue, such as the Bene Gesserit‘s pain box in Dune, or the puzzle box in Clive Barker’s Hellraiser. The elegant C1 is a precision geared tripod head that can hold and position heavy, professional camera rigs, and weighs less than 25% of anything comparable. The only drawback to this cube is that Arca-Swiss appears a bit snobbish. The company eschews an online presence, having no website and contact emails with addresses like aol.com and swissonline.ch. And, the price tag: yours for only $1,699. 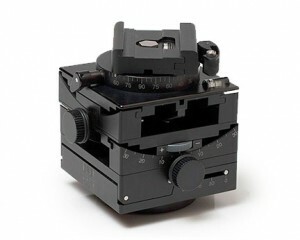 But compared to $5000 for an ugly, large, mechanized auto-adjusting tripod head, the cube seems a better choice. 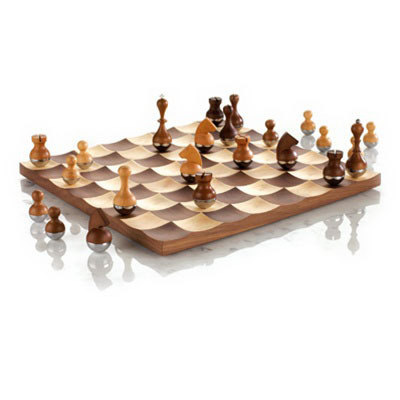 And as Swiss-designed tabletop sculpture goes, it’s probably quite cheap. This one zipped around the gadget, gear, gizmo and design blogs faster than Lance Armstrong on steroids. A limited edition of 250 Cannondale OnBikes are now available. The erstwhile high-end bicycle manufacturer went for clean lines and unorthodox profiles for this $6,150 transportation statement. Form meets function: Every millimeter of the onBike has been thoughtfully crafted to create a work of art. Ride it and then hang it on the wall. It’s a masterpiece on the road and the gallery. 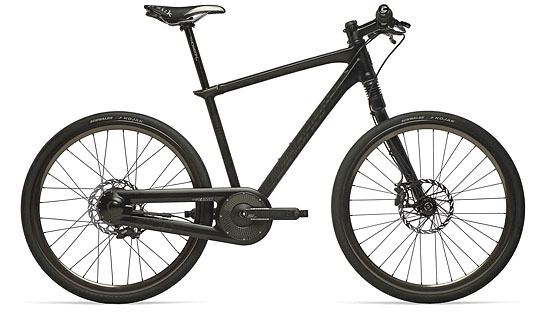 Available only in black (matte), the cycle’s drive and gears are whisked out of sight, enclosed in a sleek billet-carved sheath that becomes part of the structural frame and connects the rear wheel. 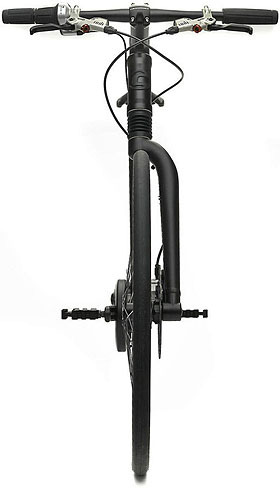 All of the brake cables are also enclosed, and run down the front wheel on a single side, counter-balancing the chain case. The casing around the drivetrain should keep out dirt, avert misalignment and provide better performance over time. Perhaps we could get a bicycle loan for this one? Good design is a synergistic meeting between form and function, not a compromise where one overshadows the other. It’s always disappointing when something looks wonderful, but does not perform. 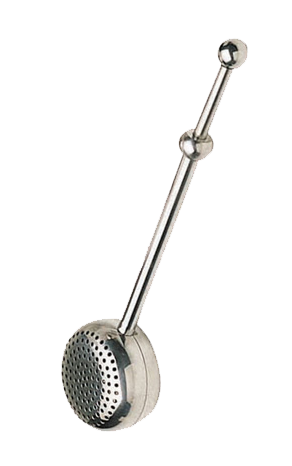 This stainless steel tea infuser from Kitchen Craft, for example, seems like it will be pretty cool. It sports an attractive, sleek shape, and the way it opens — by pressing down one end so the tea-holding ball slides in half — is fun. But it completely fails at its intended task. When you release the tip to close the ball after dipping in loose leaves, the halves slide back over one-another, pushing out a good deal of your tea. When you want to empty the used tea, you discover that even when you push the spring-end as far as it will go, the two hemispheres don’t completely separate. Much of the dredge is stuck in the ball. It takes a few uncomfortable swipes of the finger to clean it out. “Form follows function” has been a popular credo of modern design movements, from architecture to products to programming. The idea and phrasing is usually attributed to Louis Sullivan, who in the late 1800s designed the first modern skyscraper. But aesthetics are intrinsic to perception, and can play an important role in the success or longevity of an object. And as the New York Times noted recently, the digital age has allowed us to move farther and farther from the need to connect the two. The tiny iPod Shuffle is their premier example. And sometimes it’s worth conceding a bit of practicality: the Cube Jigger was derided by a few bartenders as unusable for the quick pours needed in a restaurant setting. But for a home user, the cool look makes it a fair trade off. Have you run into an object that sacrificed functionality for good looks? What was it? Was it worth it? It’s not often that a new product come along that makes total sense, is wonderfully sensitive to the environment, AND is affordable. 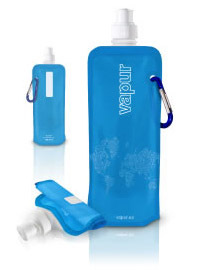 The Vapur™ Anti-bottle is a foldable 16oz plastic water bottle. It contains no BPAs — the chemicals in rigid plastic bottles that leech into liquids over time — so it’s completely refillable and reusable. When full of liquid, the brilliantly-designed bottle stands upright. When empty, just roll it up and stuff it in a pocket, or even flatten it and slip between the pages of a book. 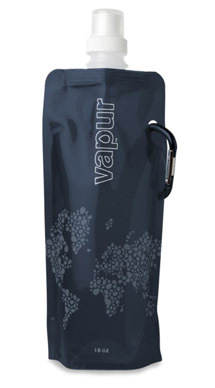 Vapurs are available in an assortment of colors, and come with a carabiner for easy carrying when full. They can be frozen for use as an portable ice-pack, and are dishwasher safe. 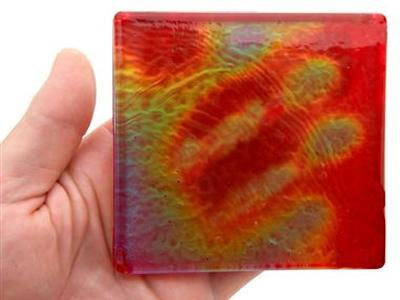 Lay your hands on one for the bargain price of $8.95, or a set of four for under $30. You can even buy extra screw or squirt caps separately. Introduced in late 2009 by a California-based company, the bottles are manufactured entirely in the United States, and ship flat (taking up 90% less trucking space than comparable rigid plastic bottles). Packaging is printed using wind power with soy-based inks on 100% post-consumer recycled paper. The company also participates in the 1% for the Planet program. Compare that to the approximately 17 million barrels of oil it takes each year just to manufacture standard water bottles for the US market, and the fact that an estimated 30-40% of water is wasted while filling these bottles for sale. Sure, you can use an expensive, bulky aluminum canteen instead. But why would you? Get yours now & spread the word! Crooked Neck has a circuit bent drum machine & 2 battery powered amps built-in. The speakers for the amps are behind the blue & grey circles on the body. Or does your adventure choose you? If you’re an artist, usually a bit of both. 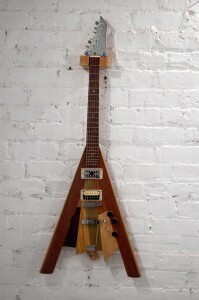 Ben Simon makes wonderfully whimsical and unique handcrafted electric guitars and other instruments. After growing up all over the East Coast, he landed for a time in the Carolinas — a region with a rich history in woodworking — and immersed himself in learning the craft at Burch Company Wood Studio. As a musician, Simon noticed that some of the more elaborate cutting boards he was working on were reminiscent of electric guitar bodies. Taking 2 and 2 apart, he deconstructed an electric guitar, did some research, and in 2006 crafted his first custom instrument. He went on to twice tour Europe playing self-built guitars and basses with his band Get the People. The instruments themselves have evolved over the years. One was made using 18 different types of wood. The repertoire is also no longer limited to guitars; pieces have been built that incorporate synths, drums, speakers and amps. A true artist, one of Ben’s goals is to teach, and spread his specialized knowledge and discoveries. As a member of the Brooklyn artist community center 3rd Ward (which it so cool that it gives all of its members free bicycles — yes, free bikes), Simon has access to a full woodworking studio. He’s working on an instrument building program for disadvantaged youth featuring small classes there. 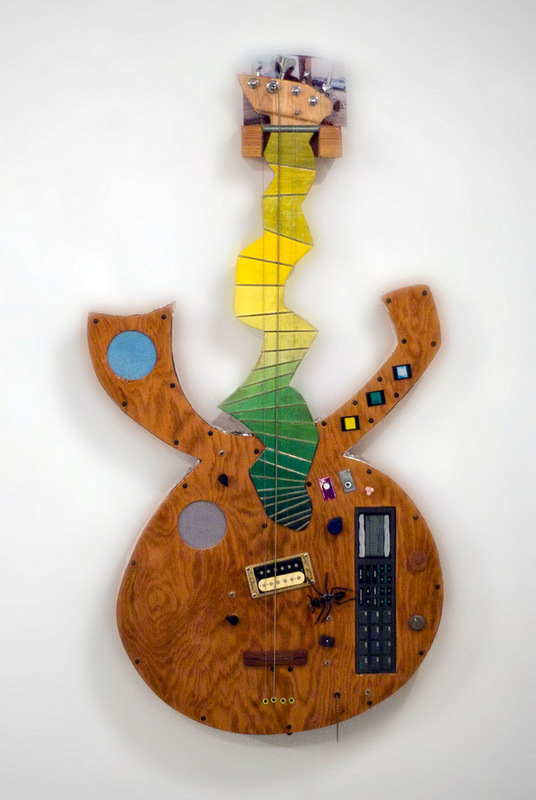 To own your own one-of-a-kind musical art piece, you can consult with Ben (bensimonmusic@gmail.com) and discuss types of wood, shapes, hardware and more. Prices start as low as $500. Check out more photos below after the jump, or on his Flickr stream. No, not as in someone addicted to Rubik’s Cube. 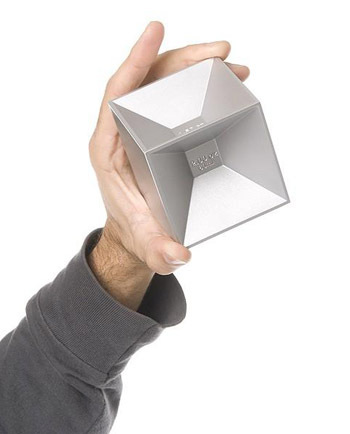 But for those addicted to appreciative of cocktails: the Cube Jigger. Inspired by traditional Japanese sake cups, from which the drink is sipped at the corners, Philadelphia designer Josh Owen came up with this elegant bar tool in 2007. Made from aluminum, the jigger provides an elegant way to mete out the six most common drink measurements, compactly arranged in a single 3″ x 3″ x 3″ cube. Available online for $30 at Kikkerland or in person for $25 at Portfolio, the museum store at the Pennsylvania Academy of the Fine Arts, the Cube Jigger might just make it into our home bar collection very soon. 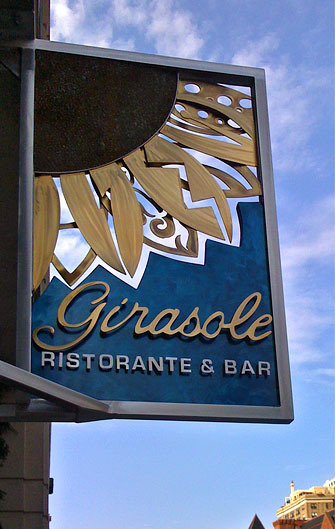 Philadelphia’s Girasole restaurant just added a beautiful, original sign to mark its location, just off Broad Street on Pine. Instead of neon or plastic, the metal frame of the sign surrounds hand-crafted steel sculpture. An elegant rendering of the restaurant’s name in bronze- and silver-colored cut metal rests over a blue-burnished background. At the top, the restaurant’s signature flower (Italian for sunflower = girasole) shines down like the sun. The overlapping petals — appearing somehow delicate, yet strong — allow glimpses of the real sky to peep through and are different on each side of the sign. It’s a wonderful example of the work coming out of Chora Leone Art & Design in Atlantic County, NJ. Jose Chora and Judy Leone have been creating together for over 15 years, and last year opened a gallery in Somers Point, NJ. I caught up with Judy via telephone and she was kind enough to send over some additional photos of their works. He works with the metals and she does the mosaics. Three top Danish design firms have recently merged, forming KiBiSi, whose logo itself is a statement in functional modernism. One of their first collaborations is the wonderfully happy EXPO Chair. 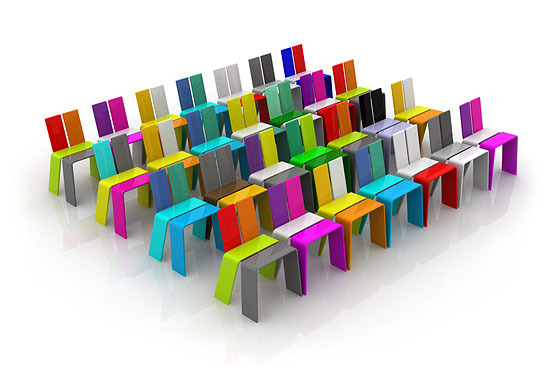 These are the chairs that will be placed in the Denmark Pavilion at the Shanghai Expo 2010. The Danish Pavilion will be a Möbius-strip-like perpetual loop through which visitors can ride one of the free provided bicycles and get a feel for Danish life. In the center is a swimming pool filled with fresh water from Copenhagen, and topped off by their national monument “Little Mermaid” statue (that of Hans Christian Anderson — and subsequently, Walt Disney — fame). With the colorful EXPO Chairs lining the way, it’s bound to be a cheerful ride.